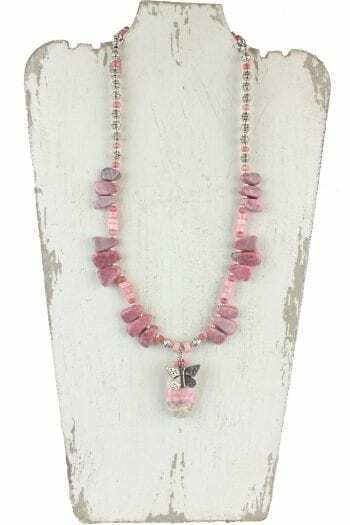 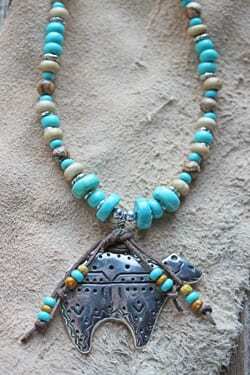 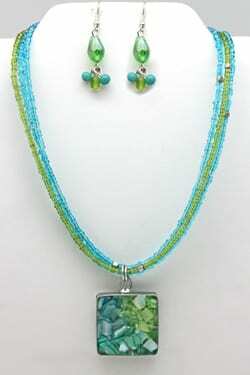 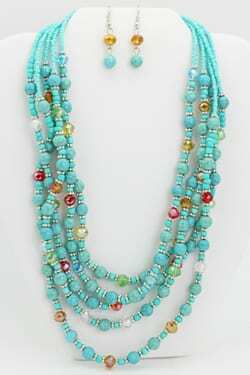 Western magnesite turquoise necklace and earring set. 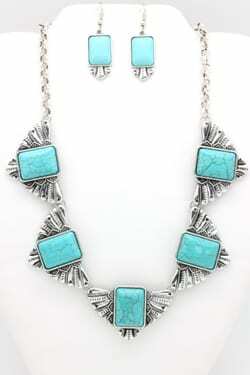 Western magnesite turquoise necklace and earring set. 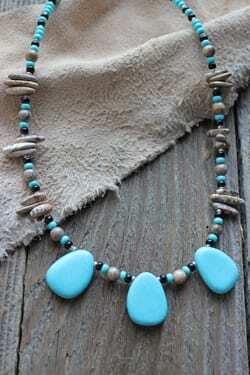 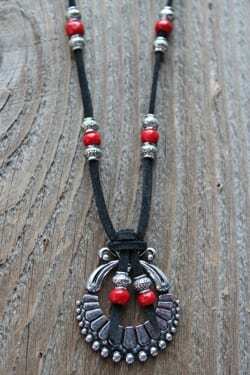 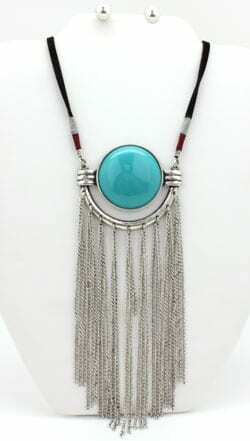 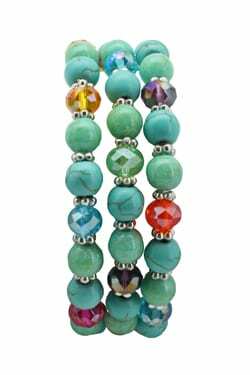 This design measures 17″-20″ and can be worn alone or with a longer western design to give this a new look.